Trumpet vine (Campsis radicans) is a deciduous vine that climbs high into the trees via aerial rootlets along the vine. 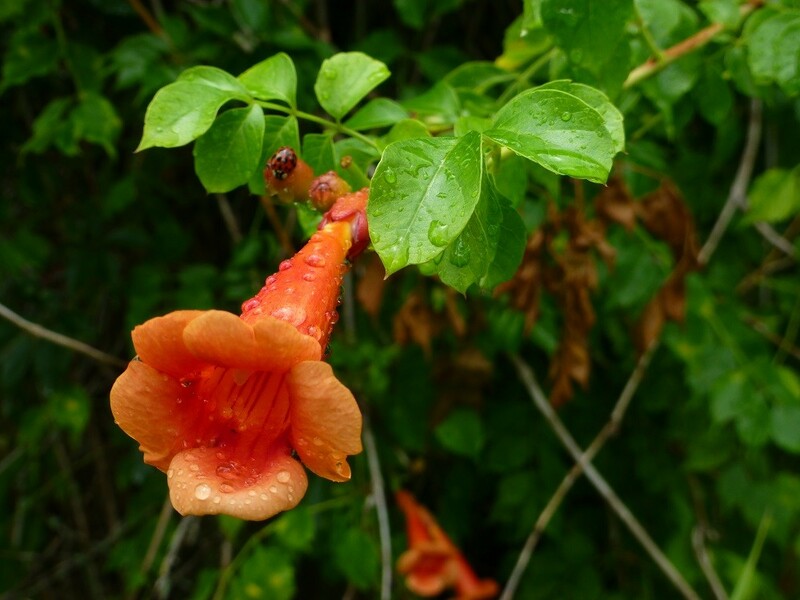 Other common names include Trumpet creeper, Trumpet vine, Common trumpet creeper, Cow vine, Foxglove vine, Hellvine, and Devil’s shoestring. It is in the Bignoniaceae family. It is native to Alabama, Arkansas, Colorado, Connecticut, Delaware, Florida, Georgia, Iowa, Illinois, Indiana, Kansas, Kentucky, Louisiana, Massachusetts, Maryland, Michigan, Missouri, Mississippi, North Carolina, North Dakota, Nebraska, New Hampshire, New Jersey, New York, Ohio, Oklahoma, Pennsylvania, Rhode Island, South Carolina, South Dakota, Tennessee, Texas, Utah, Virginia, Wisconsin, and West Virginia. It grows in garden zones 4a to 10b. Its leaves are opposite and compound with up to nine leaflets. The leaflets are oval in shape and have toothed margins. The flowers are a brilliant reddish orange, and, as the name implies, are trumpet shaped and grow to about three inches in length. The vine flowers most of the year in Florida, and in the summer in northern states. The seed pods are long, bean shaped and about five to six inches in length. The pods contain winged seeds. Generally seeds are not available to collect as the plant produces them high up into the treetop. Looking underneath a tree that contains a mature trumpet vine can yield many seedlings for transplanting. 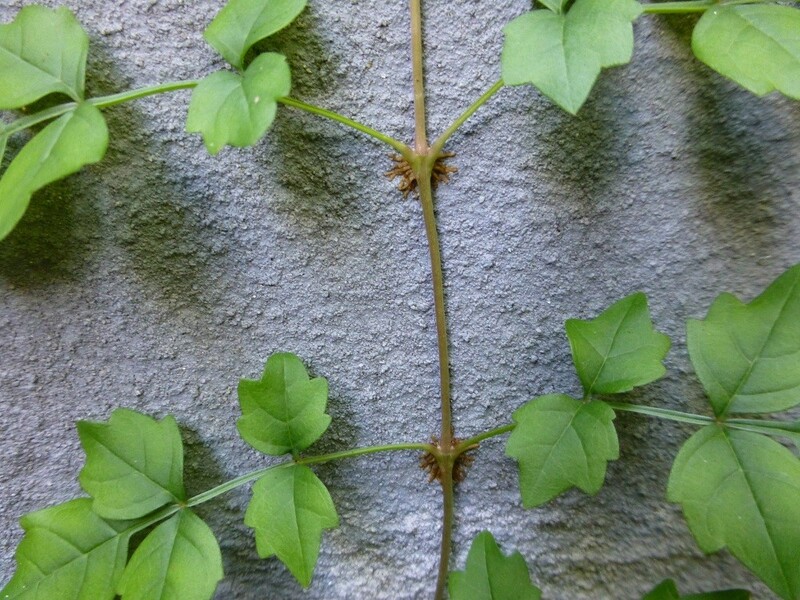 It is an aggressive vine that can reach a length of about thirty to forty feet. In nature it tends to climb high into the tree tops reaching for the sun. It occurs in woodlands and along fence rows. It grows in dry to moist soils with part shade to full sun. In the home landscape it can be trained to grow upon a trellis or fence. It does tend to send out lots of suckers, or side shoots, which will need to be trimmed to keep it in check. It is most likely not a good candidate for small gardens or near homes. The rootlets grab onto any surface within reach and if they attach to a painted surface will take the paint off when they are removed. 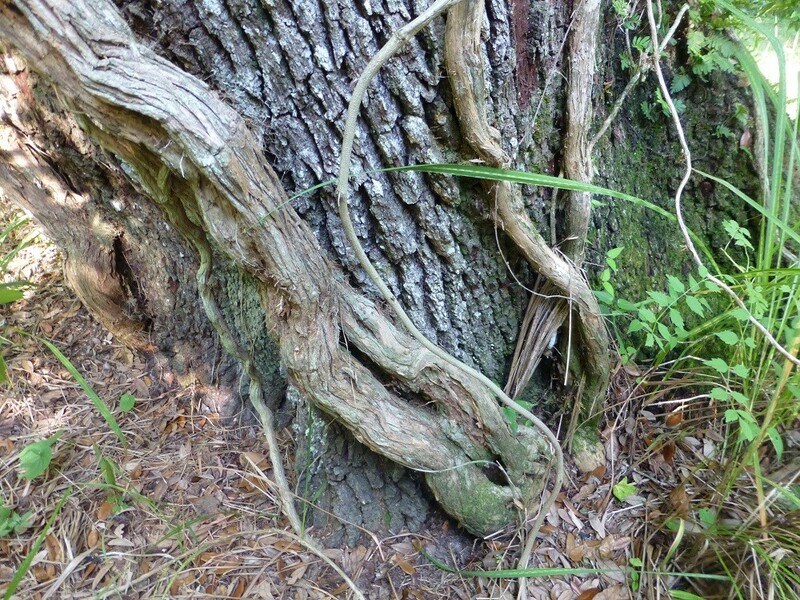 Another thing to keep in mind is that the older the vine gets the larger the girth of the trunk becomes and the more shoots it puts out. Hummingbirds, sphinx moths, and long tongued bees nectar on the flowers, and the foliage is a larval food for the Plebian sphinx moth (Paratraea plebeja). Some people may have an allergic reaction to the sap from the vine so one should be cautious when handling it. 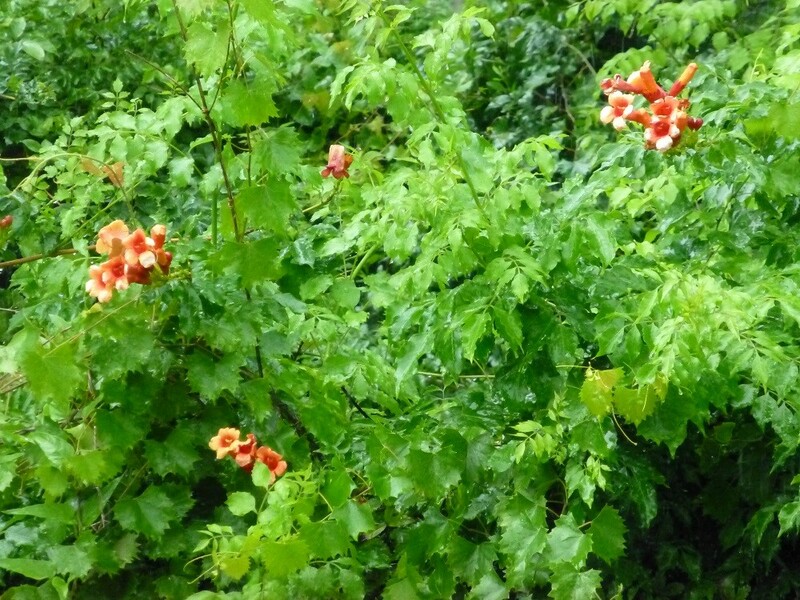 Buy trumpet vine plants here!